Autograph letter draft. 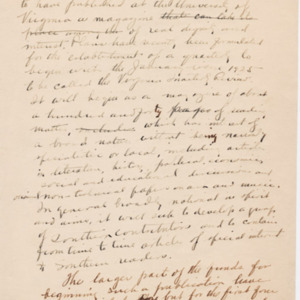 James Southall Wilson to Mr. Clark. ca. 1924. 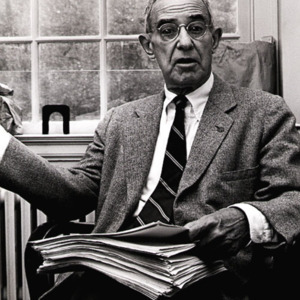 Wilson discusses the founding of the Virginia Quarterly Review. William Shakespeare. 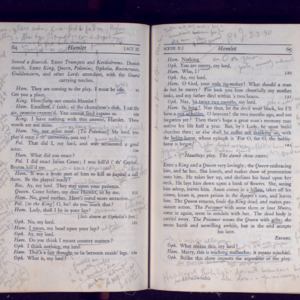 Five Plays of Shakespeare. 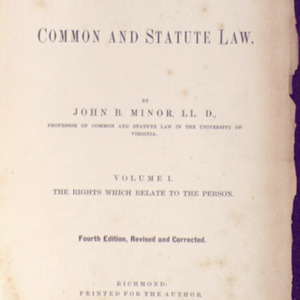 Edited by George Lyman Kittredge. Boston: Ginn and Company, 1941. 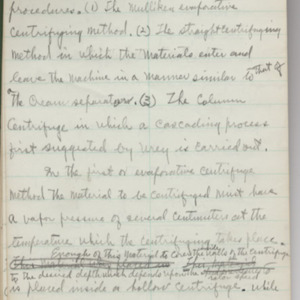 Annotated copy used by Fredson Bowers in teaching University of Virginia classes. 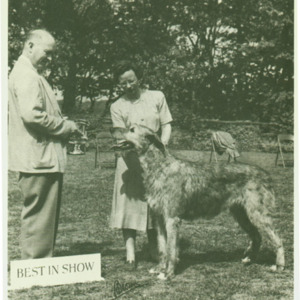 Photograph of Fredson Bowers judging Irish wolfhound competition. 1954. 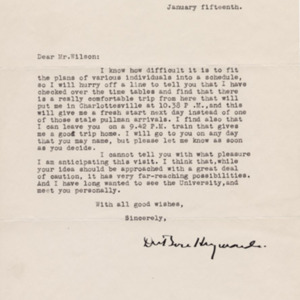 Typed letter, signed. 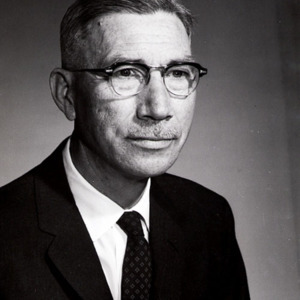 O Cultler Shepherd to Jesse Beams. 1941 May 17. 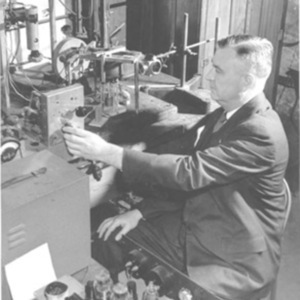 Jesse Beams. Spiral notebook. ca. 1940-41. 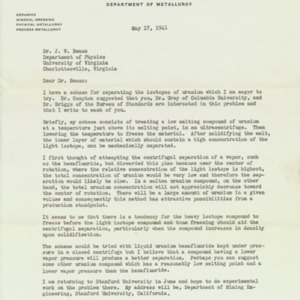 Typed letter, signed. Erskine Caldwell to Atcheson Hench. 1931 June 21. 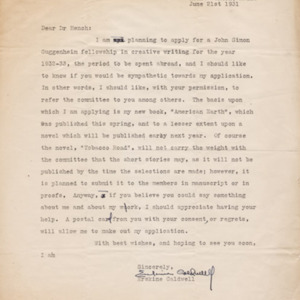 In this letter, Caldwell asks Hench to support his application for a Guggenheim fellowship the year before Tobacco Road was published in 1932. Atcheson Hench. 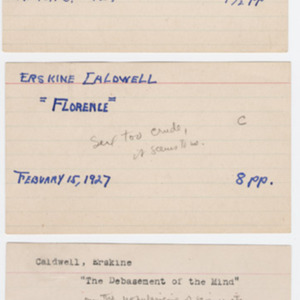 Grade cards for Erskine Caldwell. 1926-27.